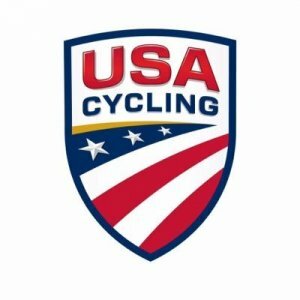 The USA Cycling Cyclocross National Championships will be held Dec. 11-16, 2018, at Joe Creason Park, the first time the event has been held in Louisville. The national championships will feature nearly 2,000 top professional and amateur riders competing over the course of the week from 45 states. The first snippets of snow fell this week, making most people frown, but put a smile on the faces of Kentucky waterfowl hunters. The cold weather the week before the waterfowl season opener on Thanksgiving Day is a good sign. Applications are now being taken for mobility-impaired hunters wishing to hunt from two specially constructed blinds at Doug Travis Wildlife Management Area (WMA) in Hickman and Carlisle counties. Applications for these quota hunts must be postmarked by Nov. 15. The hunt dates for the mobility-impaired quota hunts during 2018-2019 are: Nov. 22–25; Dec. 3–6; Dec. 7-9; Dec. 10–13; Dec. 14–16; Dec. 17–20; Dec. 21–23; Dec. 24–27 and Dec. 28–30; Dec. 31, 2018 – Jan. 3, 2019; Jan. 4–6; Jan. 7–10; Jan. 9–12; Jan. 11–13; Jan 14–17; Jan. 18–20; Jan. 21–24; and Jan. 25–27. If not completed already, waterfowl hunters must go online at the Kentucky Fish and Wildlife website at fw.ky.gov and fill out the Harvest Information Program (HIP) survey before they are legal waterfowl hunters. Online applications are being taken through Nov. 15 for youth and mobility-impaired waterfowl quota hunts at two state-owned fish hatcheries near Frankfort and Morehead. Hunts will be available on each Saturday and Sunday in January 2019. Hunts are being held at the Minor Clark Fish Hatchery in Rowan County and the Pete Pfeiffer Fish Hatchery in Franklin County. Interested youth or mobility-impaired waterfowl hunters may apply online by clicking this link or going to the Kentucky Fish and Wildlife homepage at fw.ky.gov and clicking on the “Hunt” tab, followed by “Quota Hunts” tab. Applications must be submitted by Nov. 15. Hunt dates in 2019 include Jan 5-6, Jan. 12-13, Jan. 19-20 and Jan. 26-27. Youths under age 16 may apply for these quota hunts. A mentor age 18 or older must accompany the youth hunter. A mentor and youth drawn for a hunt may invite two additional youth hunters or one youth and second mentor to hunt with them. Selected mobility-impaired hunters may only have one assistant in the blind with them. Drawn hunters will receive a quota hunt permit in the mail in late November notifying the hunter the dates for which they were drawn, along with detailed maps and other instructions concerning the hunt.